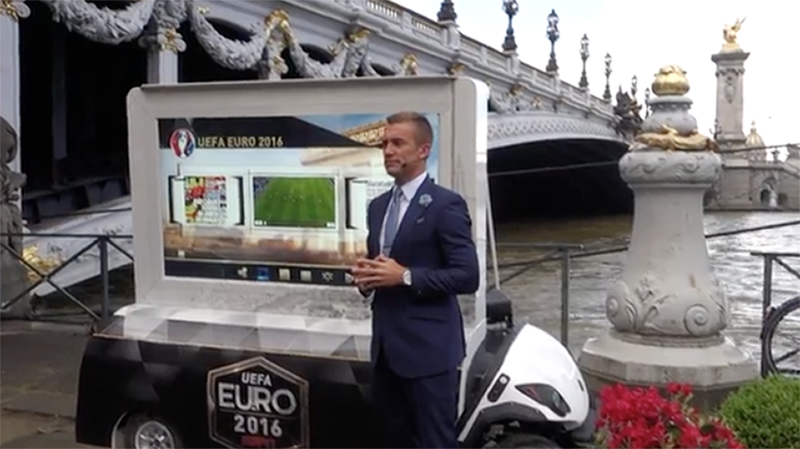 The world’s first mobile daylight touchscreen broadcast system. Bring your fans closer to the game. 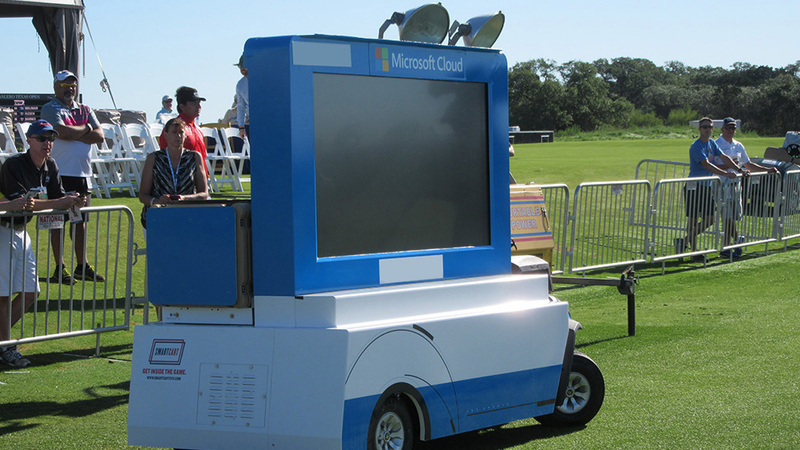 Smartcart SVX goes where you go. Full on-screen analysis of the game. See and hear live reactions with the stars. On-site coverage for less cost. 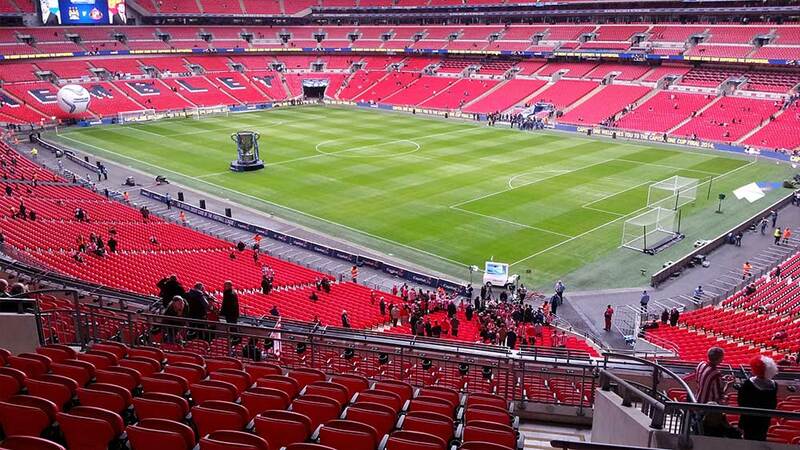 Your studio at the game. 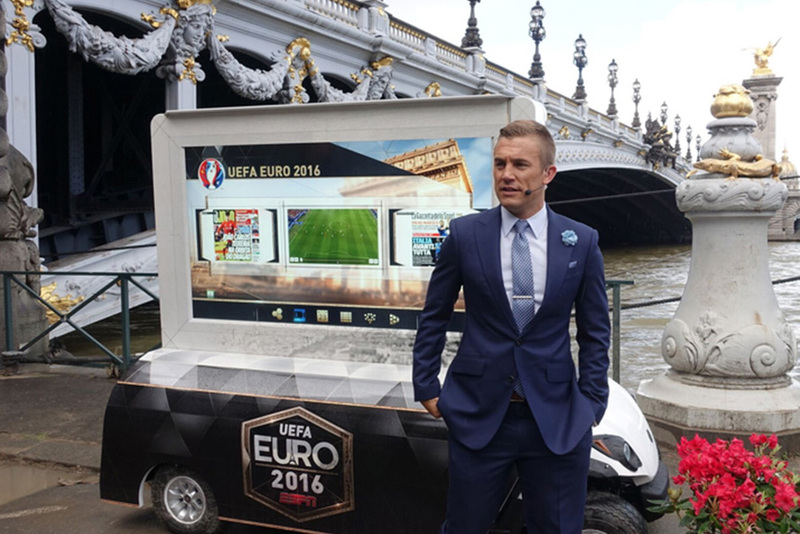 SmartCart SVX is a highly innovative outdoor mobile interactive touch screen system designed for live production use by TV Sports Broadcaster worldwide. It uniquely overcomes a number of design hurdles and physical constraint to provide a highly reliable touch experience as well as outstanding system reliability tried and tested on major events in the most extreme conditions likely to be encountered. 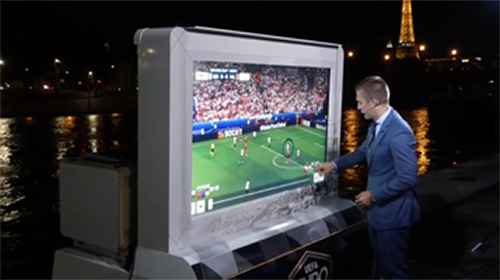 With a screen as bright as the latest stadium screens in full daylight it provides a greater ‘presence’ at an event and adds a compelling new dimension to broadcast sports events providing a new method presentation and analysis live and on the pitch - enabling TV fans to enjoy in depth video analysis and interviews with their heroes discussing their performances live at the screen - away from the traditional studio scenario at a much lower cost. 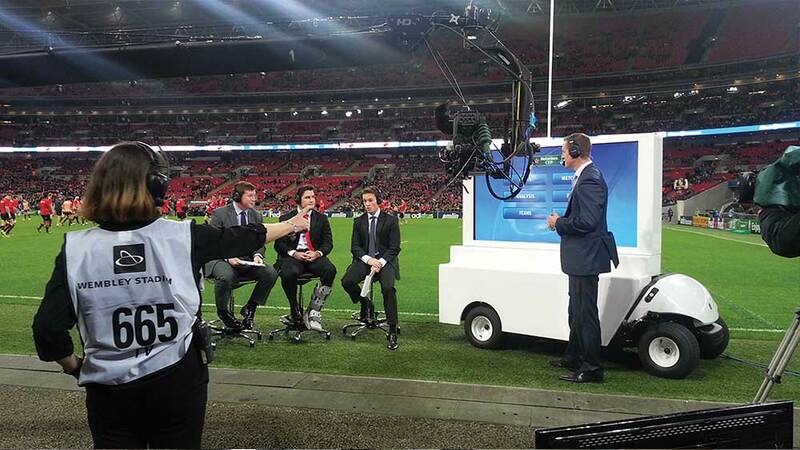 Ideal also for delivering cost effective live coverage of lower tier productions and for remote production scenarios. VDC Toughs it Out at the Euros! 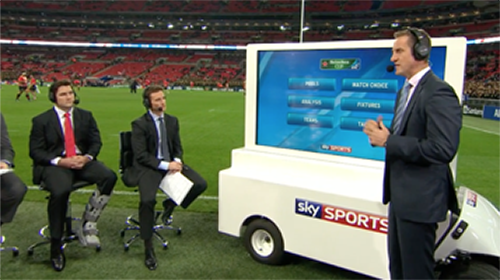 © 2019 SmartCart Technology Ltd.
SmartCart SVX is a highly cost effective solution to providing enhanced outside broadcasts which provides a presentation and analysis platform for remote production. 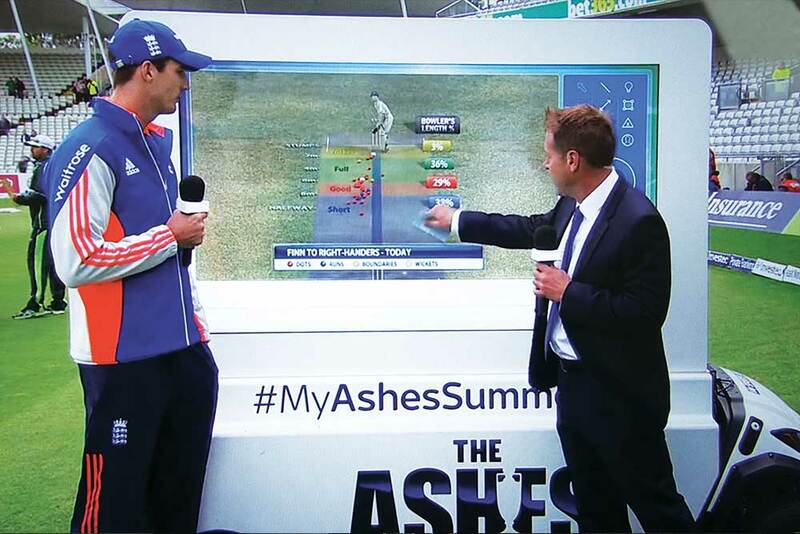 The system, loaded with compelling content, analysis gives viewers greater event insight, clarity of information and more engaged access to their sporting heroes. 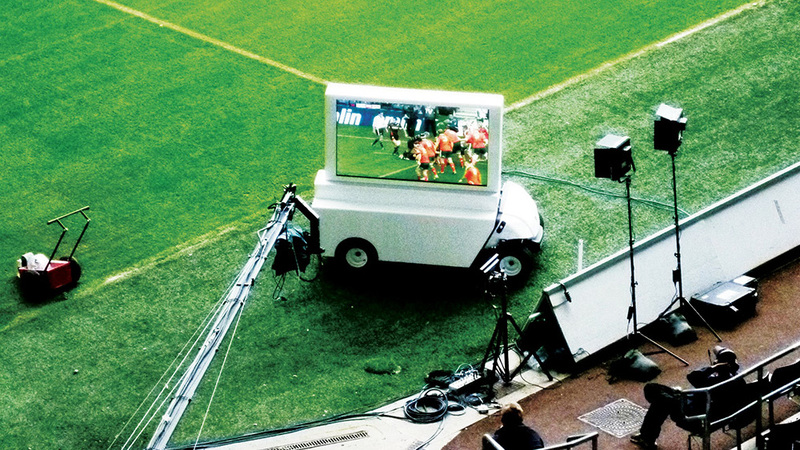 It allows the viewer to leave the confines of the presentation studio and be amongst the crowds and closer to the action, giving viewers a greater sense of “being there” at any sport events. 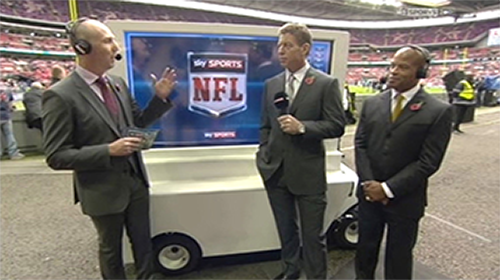 SmartCart Technology Ltd currently has operations in UK, Europe and USA with fully supported turnkey provision for Sports Broadcasters. 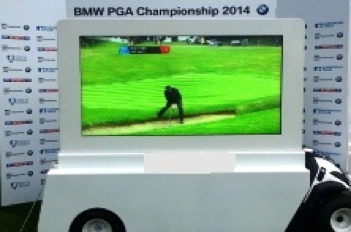 CartBlanche Technology Ltd. is introducing SmartCart SVX at both SET Expo in SaoPaulo, Brazil, and at IBC, Amsterdam. 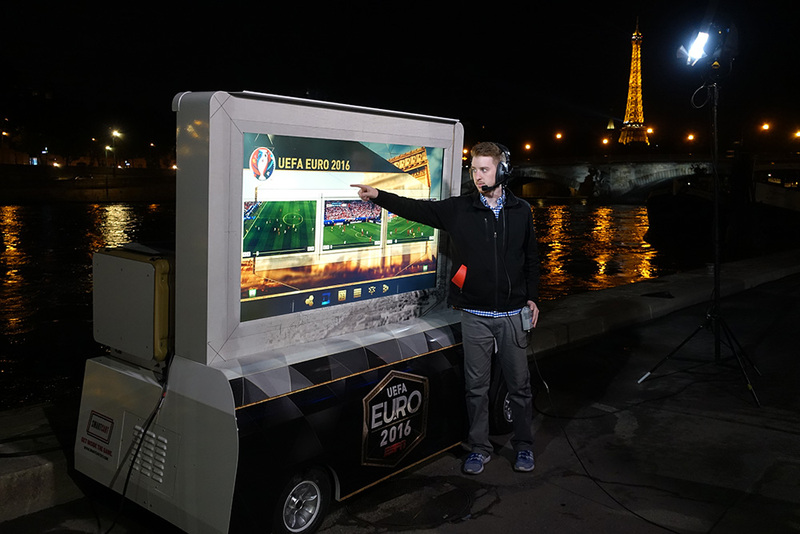 SmartCart SVX is a new to market highly effective mobile ultrabrite daylight touchscreen analysis system, aimed at sports events broadcasters. 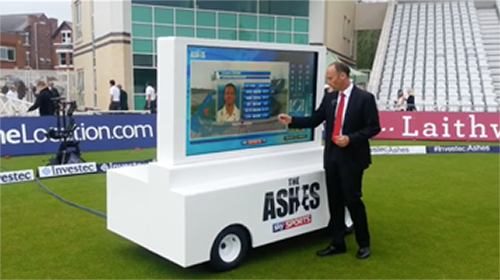 It has performed very successfully as a non-commercial version for more than 2 years in a variety of major sports events in the UK as well as in the US and Australia. 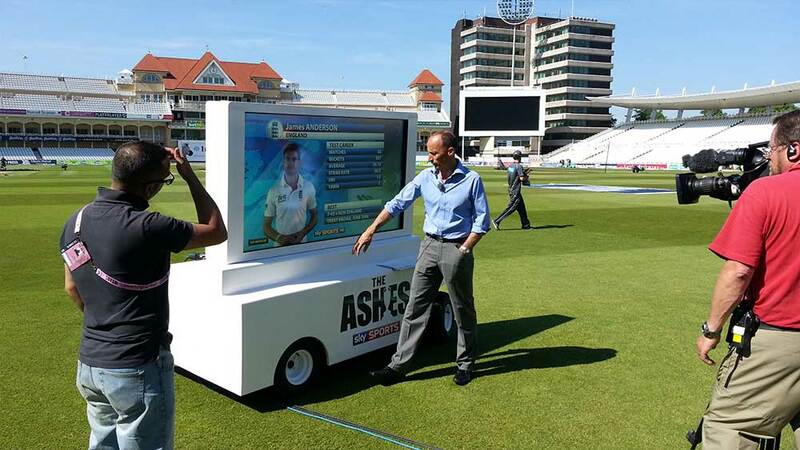 It enables TV sports fans to 'Get inside the Game' via interactive tools, video, live presentations/links and interviews direct from pitch side, track side and from the course or field. 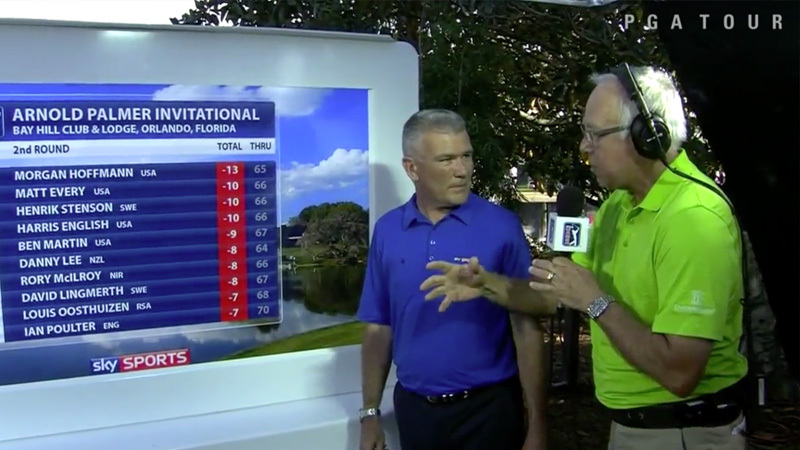 It also provides a great opportunity to leave the confines of the presentation studio and be amongst the crowd and the action to offer TV fans a greater sense of “being at the events”, right at the track side, pitch side and on the course or field. 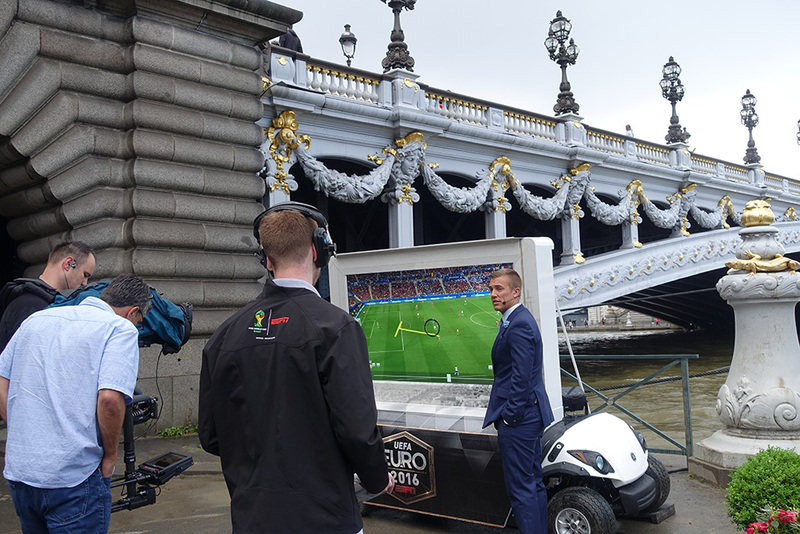 The TV sports fans will be closer than ever to their favourite games with a live event atmosphere and getting more insight and interaction with their sporting heroes. 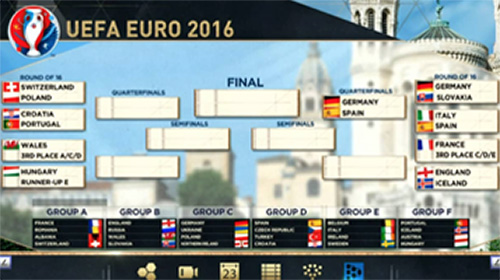 The heroes themselves can review their performance on video at the screen with the pundit and comment on their game. You now have the opportunity of either owning or leasing the SmartCart SVX. Training and support is included and service level agreements are available. Sponsorship opportunities are wide open with this new delivery system. 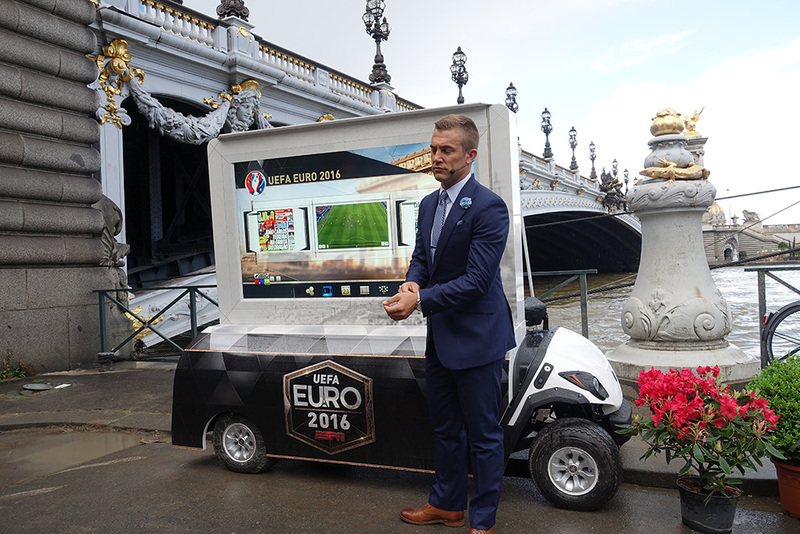 CartBlanche Technology Ltd is the designer and manufacturer of SmartCart SVX and a new and innovative company in the broadcast market. The owner of CartBlanche Technology has received several awards for his peer acknowledged innovations and his ground-breaking work in the field of sports analysis technology in the studio and on outside broadcast. 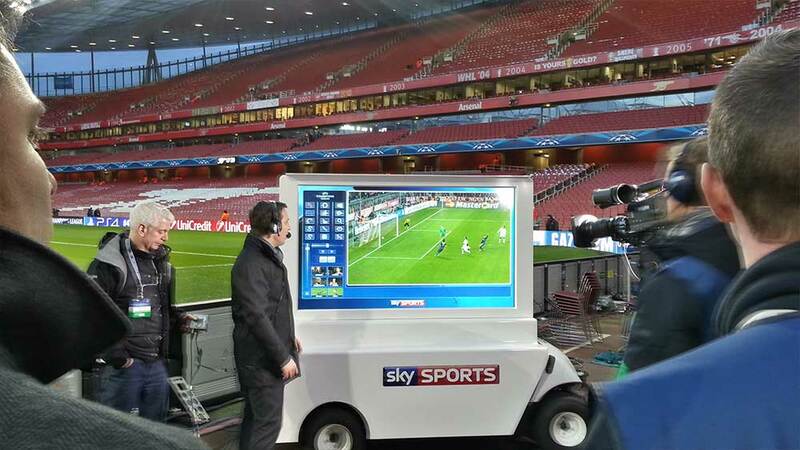 SmartCart SVX will forever change the way you ‘tell the story’ at your televised sports events. 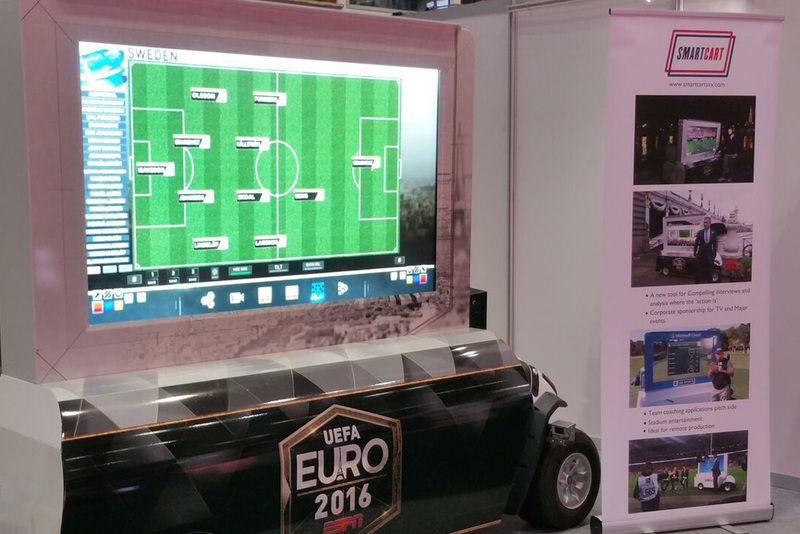 Come to learn and see more at IBC - Hall 5, Stand 24B. 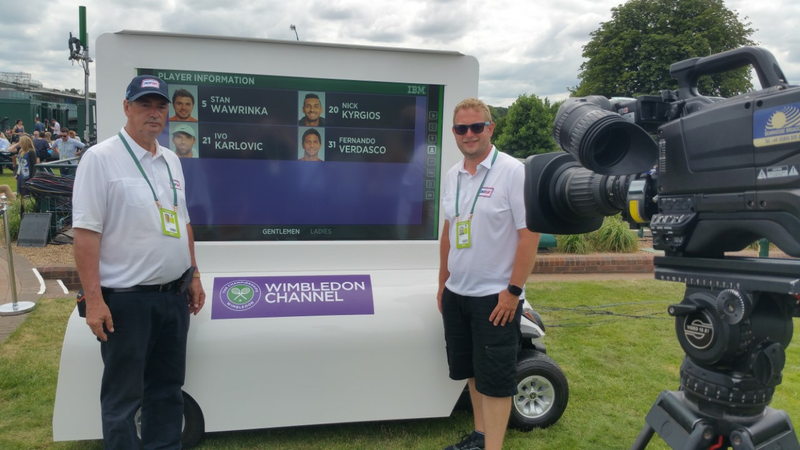 See us at WIMBLEDON 2017 / proud to be broadcasting with IMG - Broadcast Centre Rooftop location.